Most industries witnessed conservative appraisals that were considerably lower than two-digit salary hikes seen in 2016. New Delhi: Average salary hikes and voluntary attrition levels in top sectors declined during April-June quarter over last year, amid uncertain hiring prospects and lesser job opportunities, says a survey. According to online recruitment and career solutions portal Wisdomjobs.com, most industries witnessed conservative appraisals that were considerably lower than the two-digit salary hikes seen in the previous year. 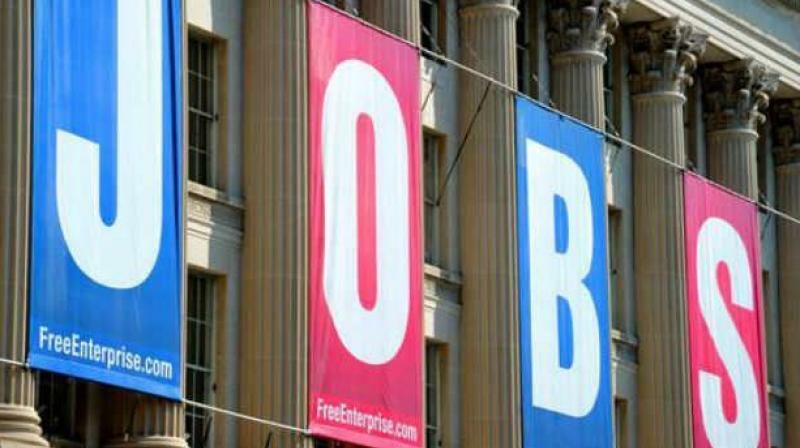 "Most sectors have seen conservative appraisals this quarter on the back of several external factors that impacted them in the previous two quarters," Wisdomjobs.com founder & CEO Ajay Kolla said. Kolla further said, "Hiring outlook of Indian companies, although still positive, will be characterised by a wait-and-watch approach as they come to terms with the real impact of automation, especially in the IT sector - and the consequent need for re-skilling their employees". This trend is likely to continue for a couple of quarters before picking up again, he said. The survey noted that while layoffs, especially in the ITsector, contributed to maintain the overall attrition levels, voluntary attrition levels declined in the first quarter of this year. "This can be attributed to the uncertainty in the job market, and the consequent slowdown in hiring across most sectors," the survey said. Amid conservative appraisals in most sectors, the survey said the IT industry was in the forefront with several companies deciding to defer appraisals for middle and senior level staff. The healthcare and retail sector topped the salary hike chart at 10.8 per cent, followed by hospitality and IT with 9.9 per cent and 9.8 per cent, respectively, the survey added. FMCG & Telecom gave a hike of 9.6 per cent, while employees in infrastructure and manufacturing got salary hike of 9.2 per cent and 9 per cent, respectively. Location-wise, Bangalore topped the list at a 9.7 per cent followed by Chennai and Pune at 9.1 per cent & 9 per cent, respectively. Hyderabad, Mumbai and Kolkata show nearly similar rates at 8.9 per cent, 8.7 per cent and 8.5 per cent, respectively. The capital city Delhi showed the lowest hike rate at 7.7 per cent.